The CXC906 from the CXC Combo Series features a flush-mount slanted top section unique to Odyssey cases. The removable front and back entry panels are interchangeable. 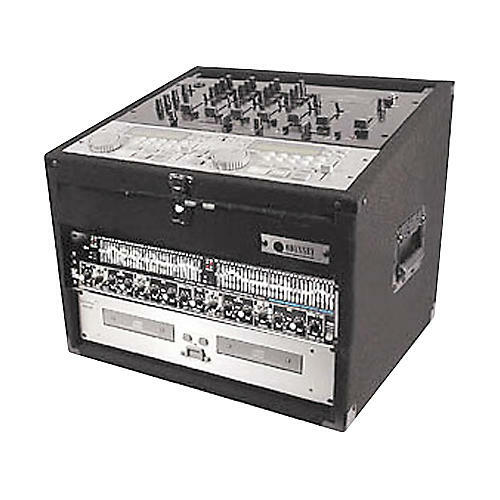 The rack mixer case has heavy duty handles and surface mount latches. 9 spaces on top, 4 vertical spaces below. Detachable lid and front cover included (not shown).